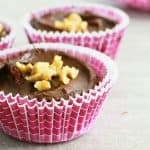 These vegan chocolate avocado cups may be the most decadent yet incredibly healthy treat that you will ever have! 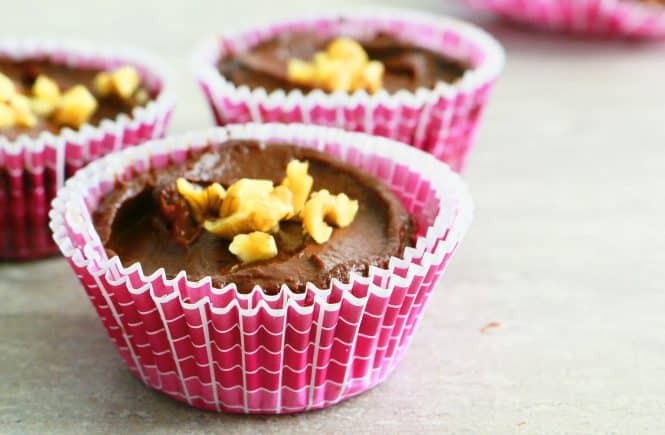 Oats, walnuts, dates, avocado, cocoa powder and coconut oil are the 6 wholesome ingredients that make these so rich, creamy and oh-so-delicious! February is all things Chocolatey. So, I made these raw vegan chcolate avocado cups. I could eat these cups all day. 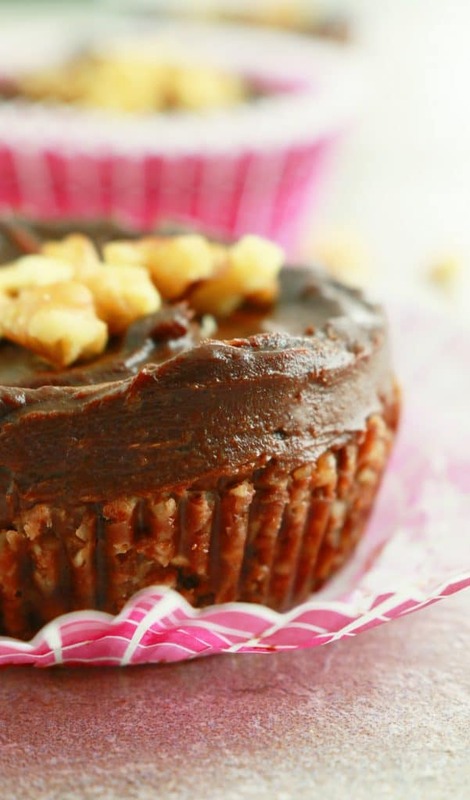 These taste so decadent, you’ll totally forget that you are eating health food. These are one hundred percent guilt free. 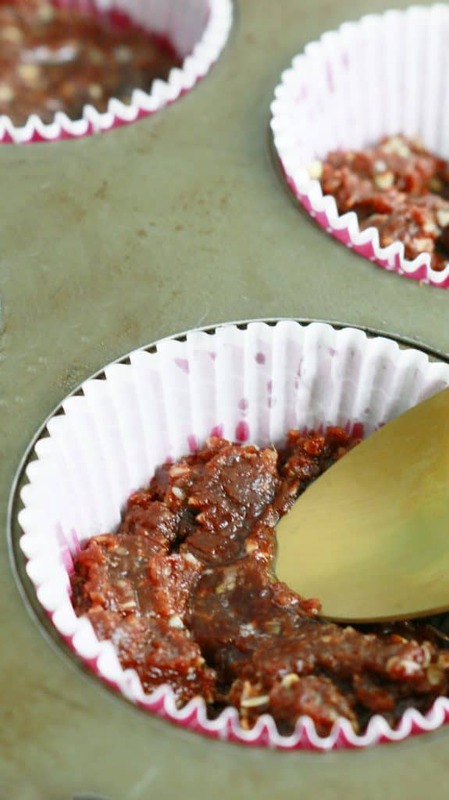 It is made only with old fashioned oats, walnuts, dates, coconut oil, avocado and cocoa powder <– All natural. The crust is delicious by itself, that sometimes I make only that, pack into a neat square (you can be a total rebel and do a rectangle), chill, cut into small bars (store in the refrigerator). Alternatively, it can be rolled into small balls and chilled. The frosting is a super creamy chocolate avocado pudding that I have been making for a really long time. Silky smooth and its just yummy on a spoon. 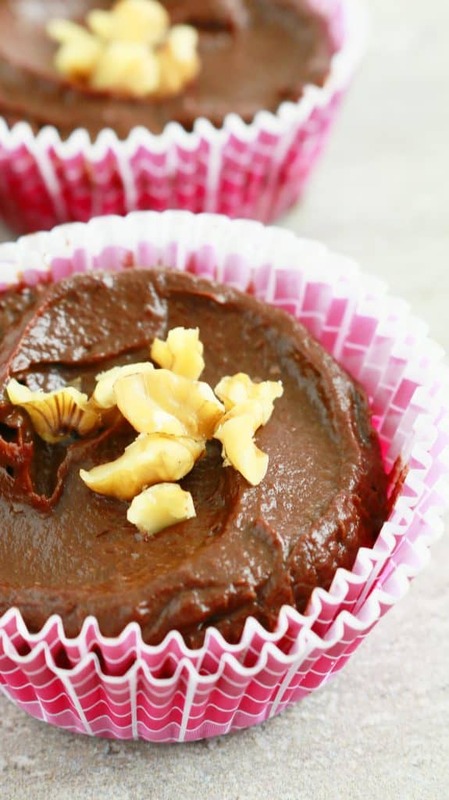 Raw oat walnut crust topped with a silky, creamy raw chocolate avocado frosting. Such an incredible contrast in texture. 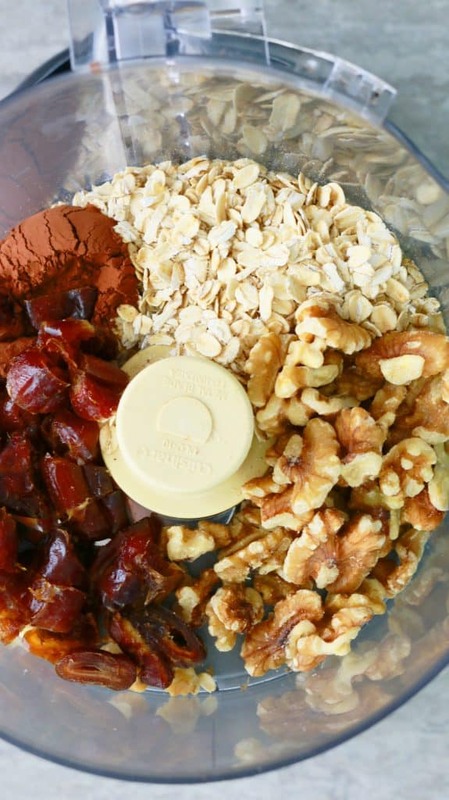 -Coarsely grind oats, walnuts, dates, cocoa powder and coconut oil. Press into 6 muffin pans. 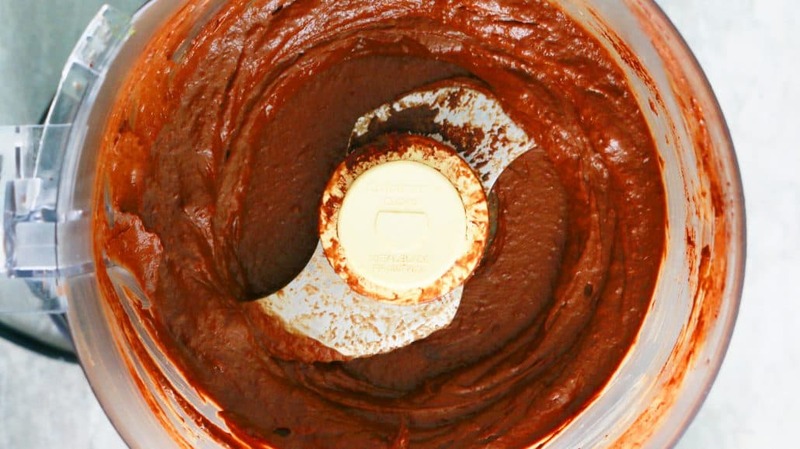 -Grind avocado, dates, cocoa powder and water until smooth and creamy. Spoon on top of crust. 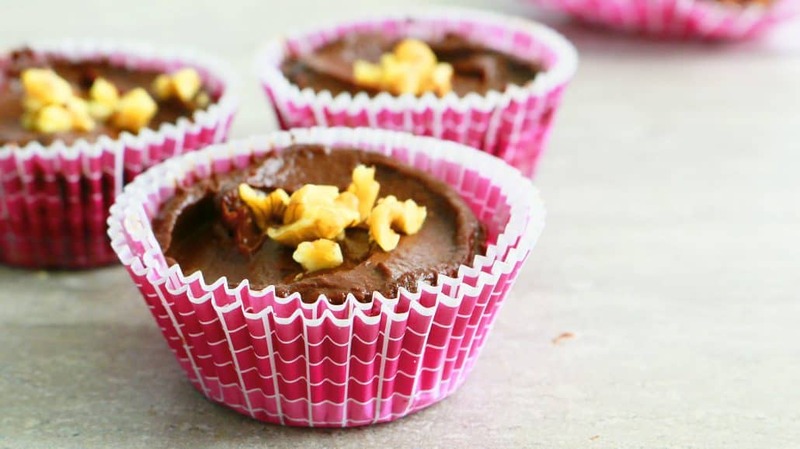 Vegan chocolate avocado cups for the win! Line a standard muffin pan with 6 paper liners and set aside. 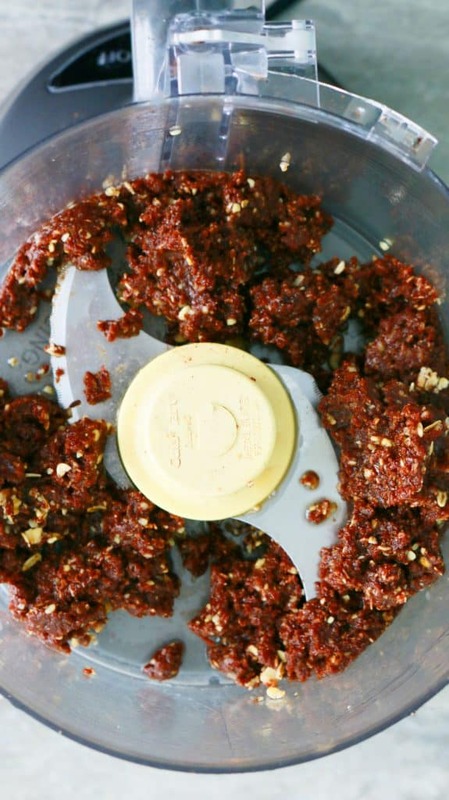 Add all chocolate nut crust ingredients into a food processor. Process until coarsely ground ( stop procesor every 20 seconds and scrape the sides). Divide mixture evenly in prepared muffin cups. 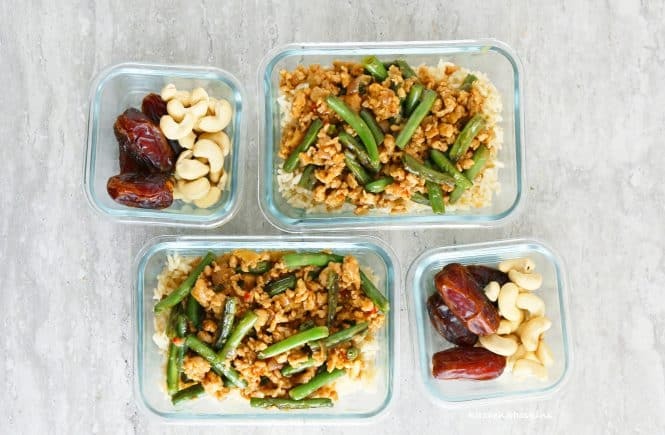 Press with your fingertips or a small flat spoon to pack evenly. 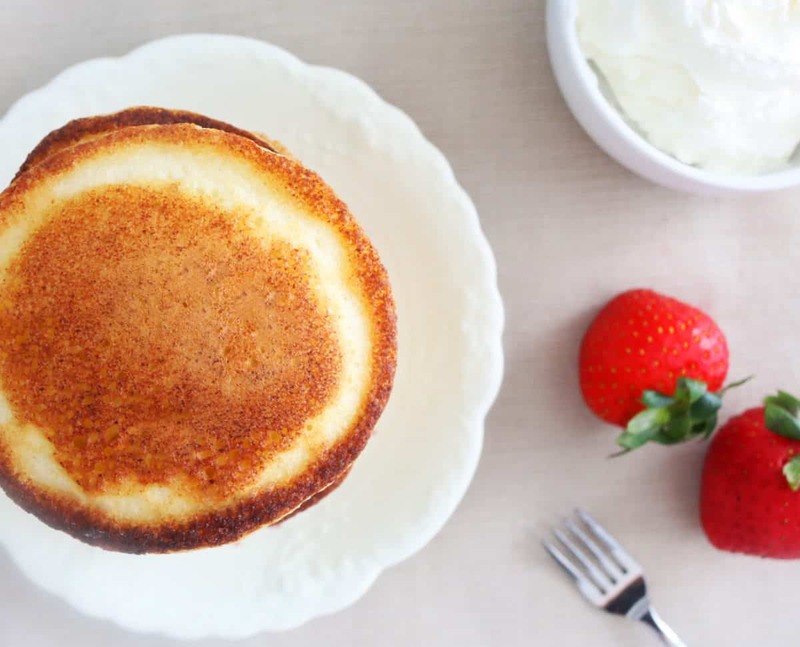 Set aside until you make the frosting. 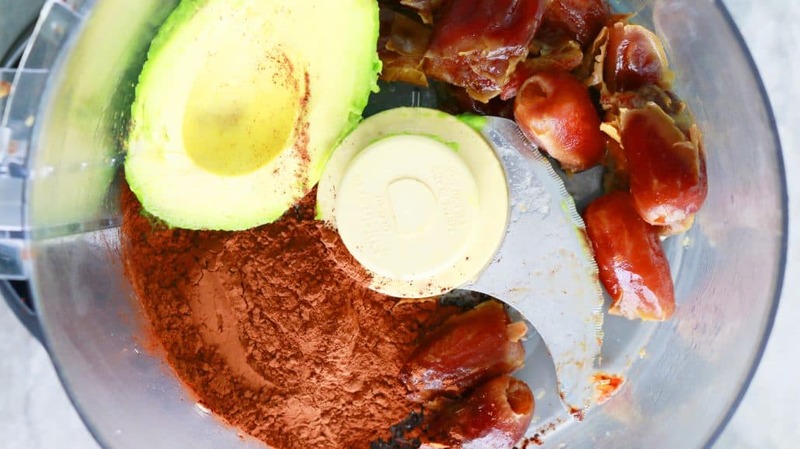 Add avocado, chopped dates, cocoa powder and 2 tablespoons water into the now empty food processor. Process until completely smooth and creamy. (Stop processor every 20 seconds and scrape the sides and lid). Add additional 1 or 2 tablespoon water only if the processor struggles to grind. 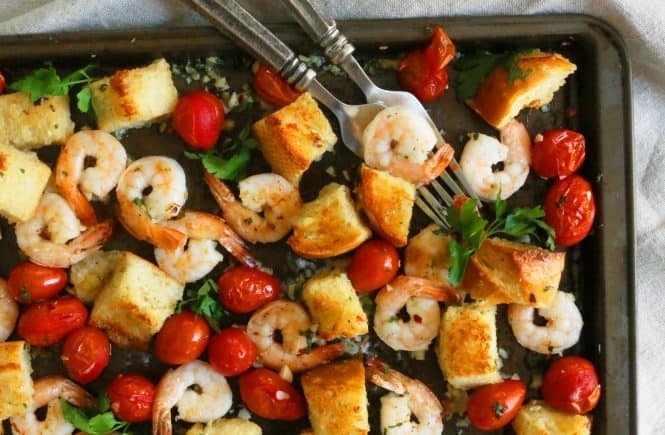 Place muffin pan in the refrigerator for at least 5 hours to set. Eat. Store cups in the refrigerator about 3-4 days. Chop 18 pitted (Deglet noor variety) dates and grind along with oats, walnuts, cocoa powder and coconut oil. Soak 21 pitted (Deglet noor variety) dates in hot tap water for about 1 hour, drain water well, chop and then grind with avocado, cocoa powder and water. Nutrition information does not include (optional) walnut garnish. Mmmm healthy, creamy and chocolatey?! These sound like amazing treats! I definitely want that frosting on mine!! That oat crust sounds so good for snacking on! And that luscious avocado chocolate mousse is lovely to go on top of it! Yummy!